One of the reasons volume rises on declines is because the fear of losing money is stronger than the fear of missing out on more upside. With all these IPOs on the horizon, Cramer says, this market needs some great mergers. And, several industries could benefit from consolidation. This pure play on the Permian Basin has a strong balance sheet, is set to boost output and has a favorable valuation. The algos are pushing to the negative late in the day -- keep an eye out for signals of a trend change. Boeing, Schlumberger and these other names could win big if China buys lots of U.S. goods to close its trade surplus. This beauty is off a rough 15% in December alone. We all know that the FOMC went too far by now. They know it as well. They have to. 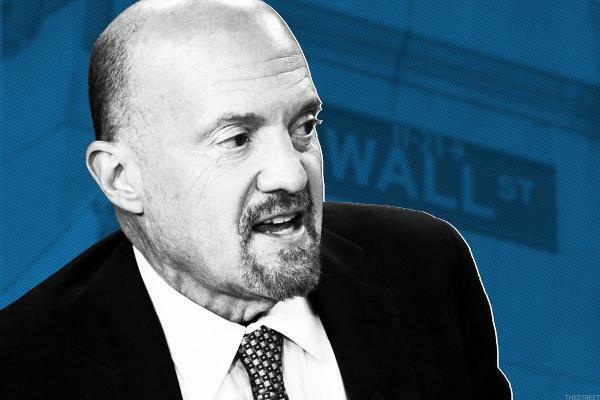 Jim Cramer weighs in on Apache, Roku, Winnebago and more. Jim Cramer says the market won't be able to find a bottom until several key conditions are met, most notably what the Fed is going to do. The most recent short interest data was recently released for the 11/15/2018 settlement date, and Apache Corp is the #80 most shorted of the S&P 500 components, based on 5.14 "days to cover." There are a number of ways to look at short data, but one metric that we find particularly useful is the "days to cover" because it considers both the total shares short and the average daily volume of shares typically traded. The number of shares short is then divided by the average daily volume, to express the total number of trading days it would take to close out all of the open short positions if every share traded represented a short position being closed. We'll be out later with key thoughts from our discussion on what direction the portfolio should be taken as we quickly approach a new investment year. With the S&P green for the last five days, it would not surprise me at all if Monday was down. Breadth was better today, net volume was positive by a few, and the number of stocks making new lows only increased by a few issues. Recent moves in industrial stocks demonstrate the importance of buying hated stock/groups when your conviction is high.